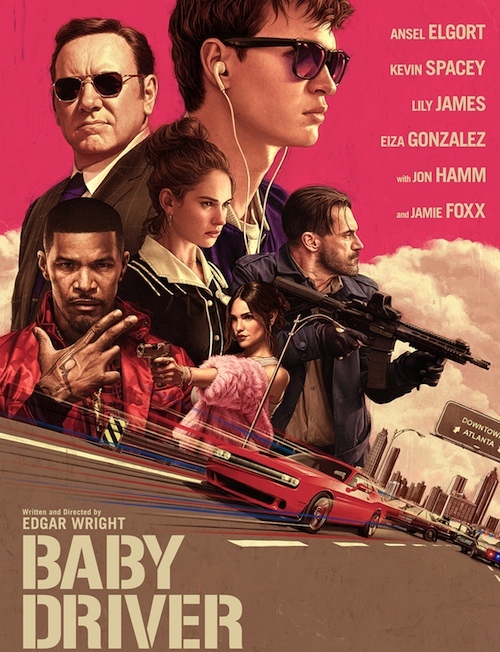 BABY DRIVER: In the past, Edgar Wright has proven his versatility as a filmmaker by creating distinct genre films while making sure that his artistic flair was always present. “Baby Driver” is just his latest entry into a growing catalog establishing his auteurism. He creates a jukebox action film with nostalgic romance at its core. Every character may be a caricature, and the story may be completely familiar, but Wright proves that it’s all about the execution. The film keeps its foot firmly planted on the gas pedal, only slowing down to either deliver a punchline or develop romantic tension. Full of great performances and fun music, this film kickstarted this lackluster summer and showed up it may still have some gas left in its tank. IT COMES AT NIGHT: There are few horror films that can scare you without even trying, but “It Comes At Night” does a great job at it. The best horror film of the year, it is subtle and insidious with how it penetrates your mind and keeps you on the edge of your seat. Writer/Director Trey Edward Shults build on the elements he showed us in his debut film “Krisha” and raises the stakes. He uses natural elements, like character interactions and our human fears of the forest and the dark, in combination with excellent sound design to establish the menacing tone and crippling tension. THE BIG SICK: The rom-com genre gets such a bad rap, and rightly so, but Emily V. Gordon and Kumail Nanjiani changed that by developing an endearing and hilarious story that is mostly autobiographical. This love story is completely unconventional in more than just its approach. Each character is beautifully fleshed out, turned into genuine people with flaws and all. Instead of the comedy just being used as a form of momentary relief, it is expertly crafted throughout the story and essentially becomes a character all its own. Kumail Nanjiani delivers a breakout film performance that proves just how versatile of an actor he truly is. BEST MOMENT OF THE BEST: In “Baby Driver,” every single scene where the surrounding action was perfectly synced to the percussive beats in the music, especially during the shootout scenes. 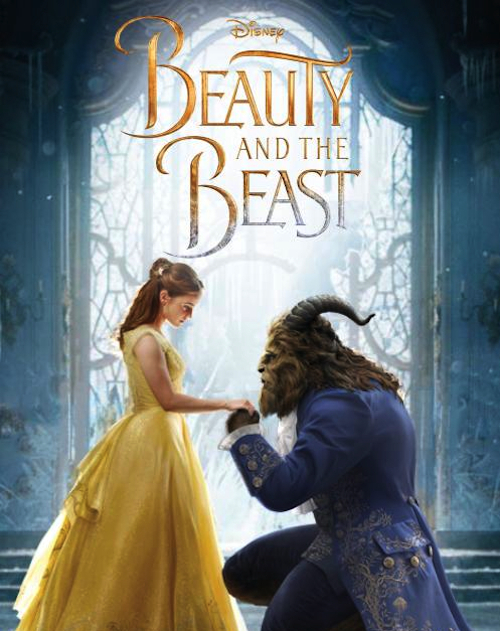 BEAUTY AND THE BEAST: I took a lot of pipe for my love of this film, and I think most of the negative criticism came from the generation who wore the VHS tape out watching the animated version. But this live action re-imagining was in the great tradition of Broadway musical transition from stage to film. The archetypes of this version were impeccible, as the Beast (Dan Stevens) and the Beauty (Emma Watson) each lushly performed their roles. The musical numbers were the highlights, as the “Gaston” number was reminiscent of the “Bottle Dance” in “Fiddler on the Roof,” with the stops and starts of a great Broadway number (directed by Bill Condon of “Chicago”)… and even the most familiar songs (“Belle”) took on a new resonance as live action. Walt Disney Studios still knows how to deliver, as this may be the most enjoyable 139 minutes of film experience you’ll have all year. THE HERO: The smaller and more independent features continue to shine, as new film creators emerge every year. One such director is Brett Haley, who in his third feature film has perfected his style of sly humor, deep emotion and character resonance. The legendary cowboy actor/voiceover artist Sam Elliott is in the title role, as an aging cowboy actor/voiceover artist. In portraying another realization of himself, he captures all the moments of true feeling, as the character finds out he has a terminal disease. In an attempt to make amends for all his perceived sins, he accidentally begins a new relationship (with an excellent Laura Prepon from “That ‘70s Show”) and becomes a YouTube sensation (this is done in a particularly realistic sense). This is one of the great performances, and films, of 2017 so far. THE BEGUILED: “Birds do it, bees do it…” as I said in my recent review. That is the essential core of a more complex story, about a Union soldier (Colin Farrell) during the American Civil War, who ends up injured and taken in by a Southern girls boarding school in Confederate Virginia. The woman and girls holed up in the school – portrayed by Nicole Kidman, Kirsten Dunst, Elle Fanning and other young actresses – are at first scared, then intrigued, and then attracted, to the handsome Irish warrior. The soldier, feeling his true oats for the first time in his life, makes both hay and bad decisions regarding his circumstance. Director Sofia Coppola, remaking a Clint Eastwood film and novel adaptation from 1971, creates an atmosphere that slowly builds like a tense thriller, and delivers the goods all the way to the tragic end. This is one of those films that everyone can relate to, as long as if you’ve even had that itch that needs to be scratched. BEST MOMENT OF THE BEST: The “Be My Guest” number from “Beauty and the Beast” is a marvel of combined digital art and Broadway baby delivery (by Ewan McGregor, of all people). I could watch it ten times in a row and never get tired of the marvelous scenic invention by Bill Condon and the production team.